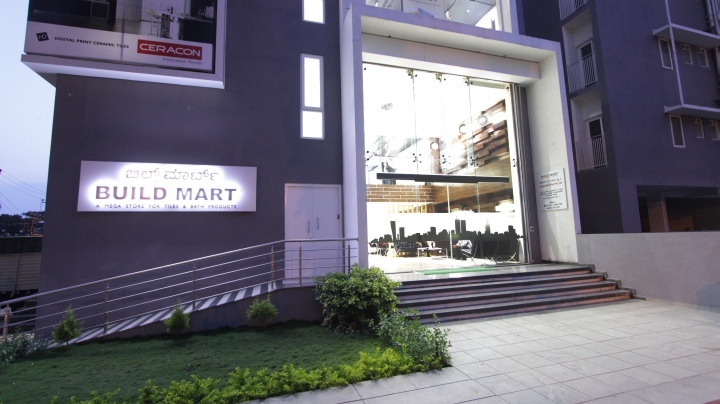 Build Mart, one of the biggest retail showrooms for tiles and bath products has been established by Rathod Build Mart Pvt. Ltd., situated in Yeshwanthpur. 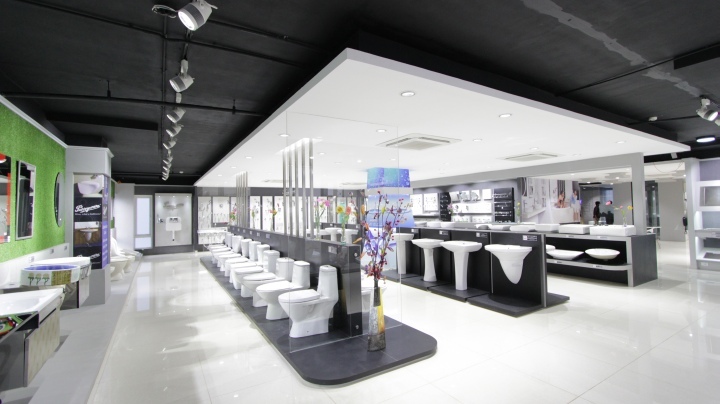 These Showrooms sell more than 1000 trendy, novel and quality designs. 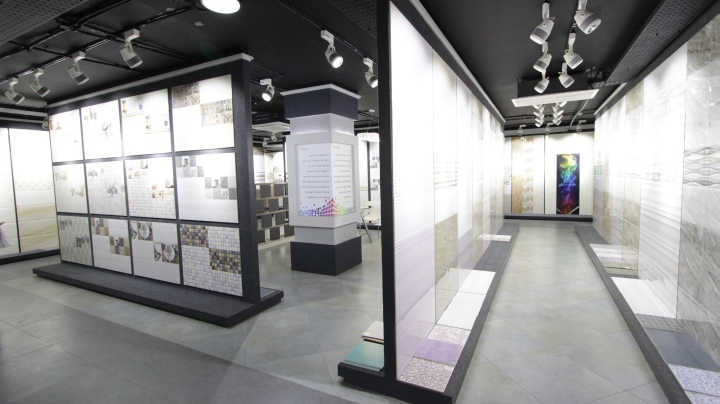 The multi floored exhibition area of 21,000 sq.ft., houses quality imported tiles, modern bathroom and kitchen settings from across the globe-displayed in excellent combinations. 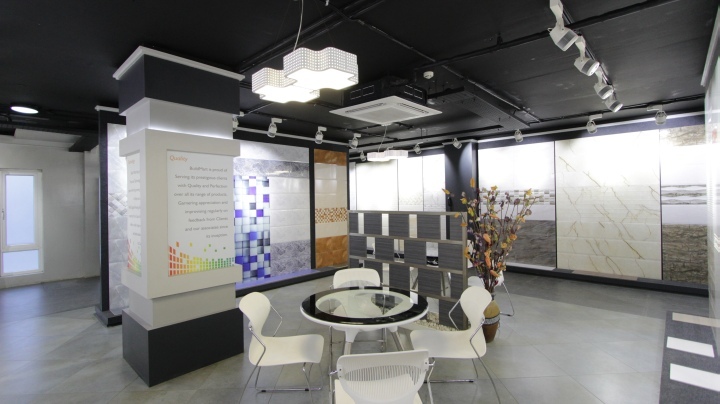 Their showrooms provide a unique retail experience for customers wherein, they combine the outstanding product lines with commitment to excellent customer service. 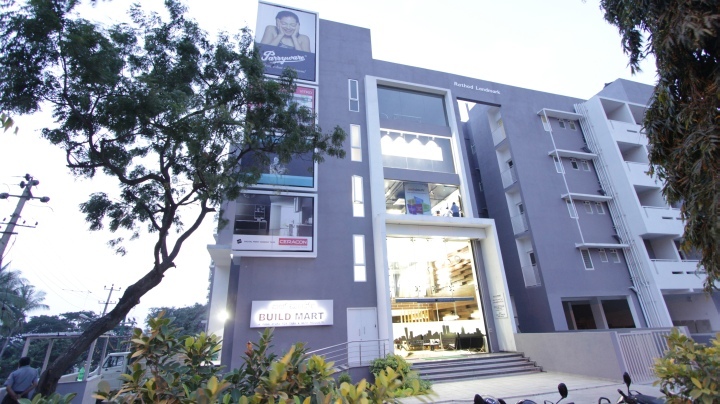 Moreover, the staff is competent enough to guide, educate and inspire throughout the selection process. 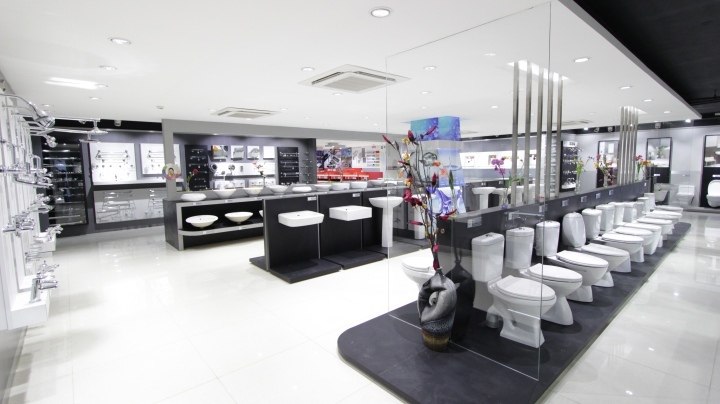 CLIENT BRIEF: One stop destination for tiles and sanitary ware. Should not be intimidating and should be open for all. Value for money. 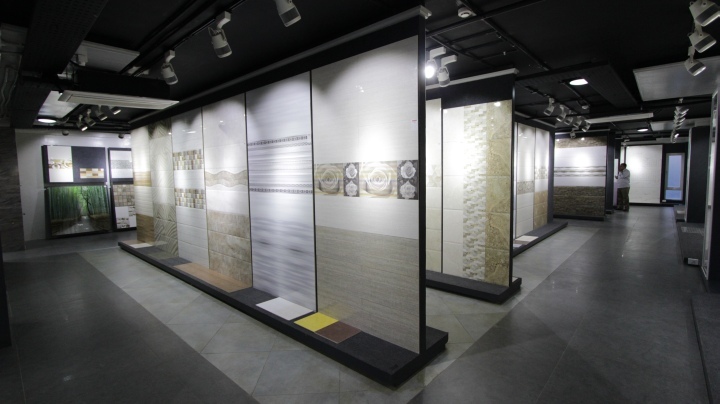 Showcase maximum variety of products. Maintain a good clientele by forming recall value. 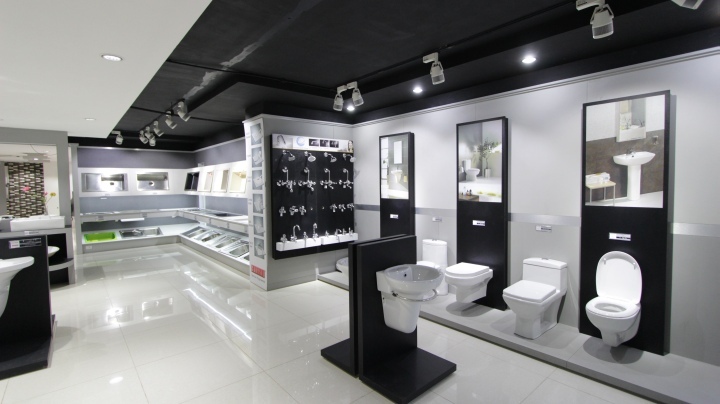 DESIGN STRATEGY: Clean and open displays for the customers to easily access and browse through the products. All varieties under one roof. Premium products to be displayed in exclusive niches. 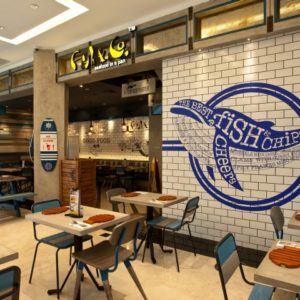 Use of strong visuals& graphics to demonstrate the available variety and attract customers. 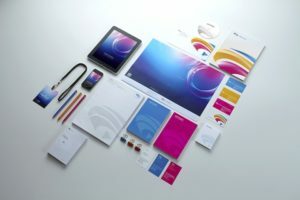 Clear cut space / provision for branding. Clear-cut signage with price and tags. 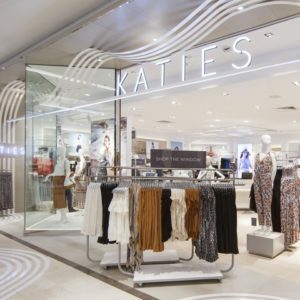 STORE DESIGN SIGNATURE: Considering the products and product categories,the color palette of the store is in hues of grey to enhance the products and also make ths store look premium, international. 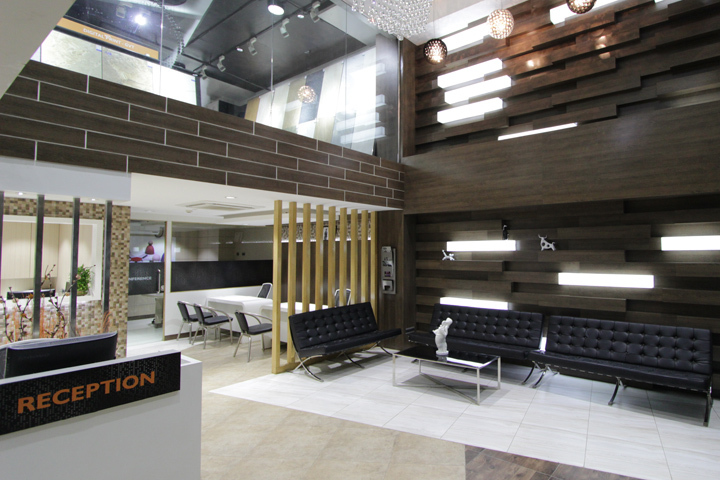 Artistic product displays which are zoned and traeted differently with a neo-contemporary look and feel. 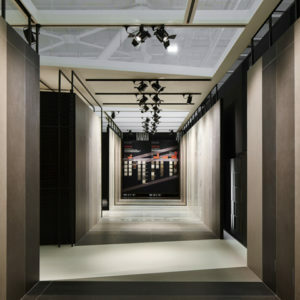 INNOVATIVE USE OF MATERIALS & FINISHES: Since the product is very firm/ rigid, the materials used in the store design are kept light &smooth to maintain a balance. 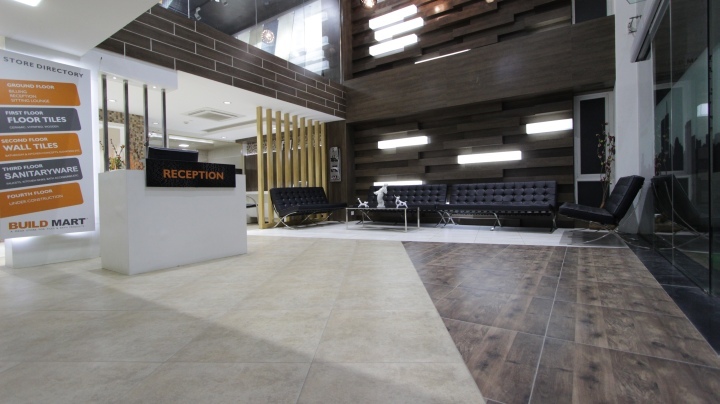 Customer comfort & a homely look & feel have been kept into consideration in choosing the material palette. 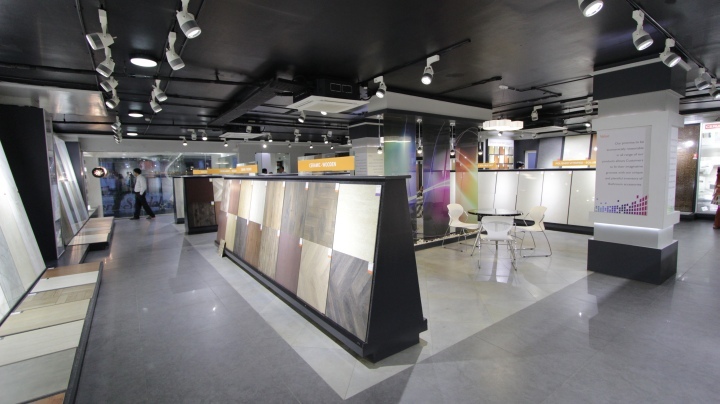 Usage of materials such as wallpaper& textured paint add to the homely ambiance of the store. 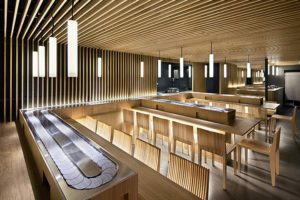 LIGHTING: LED track lighting has been used to focus on the product. White colored light fixtures are fixed to the black painted ceiling to enhance the aesthetic appeal of the overall space. 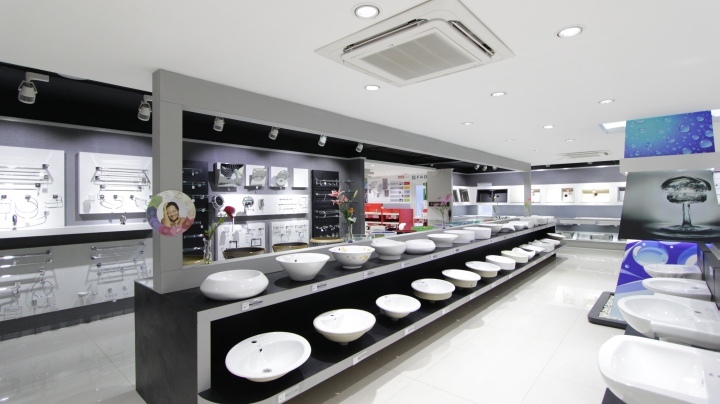 White light enables the shoppers to see the actual colors of the product. 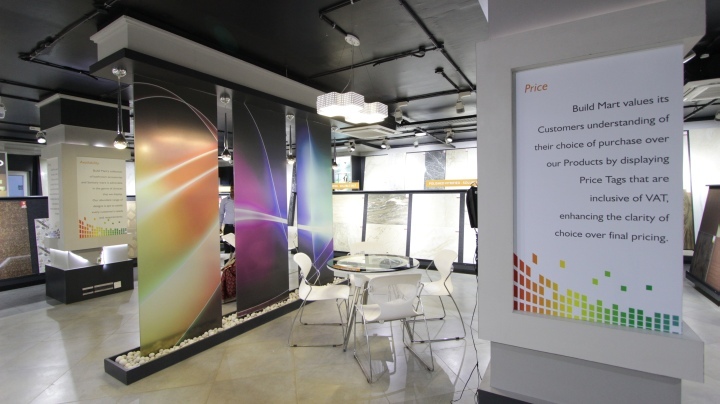 Cove lighting is also used in some places to highlight the key elements in the store. 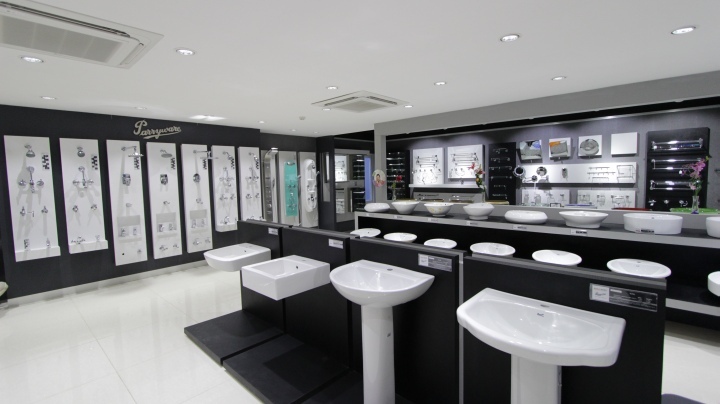 STORE ZONING &LAYOUT: The store zoning is self-directing & navigating. The zoning is user friendly connecting related products together to browse with ease. Layout is very spacious & open. With proper merchandise display the layout has ample space for mock-ups. 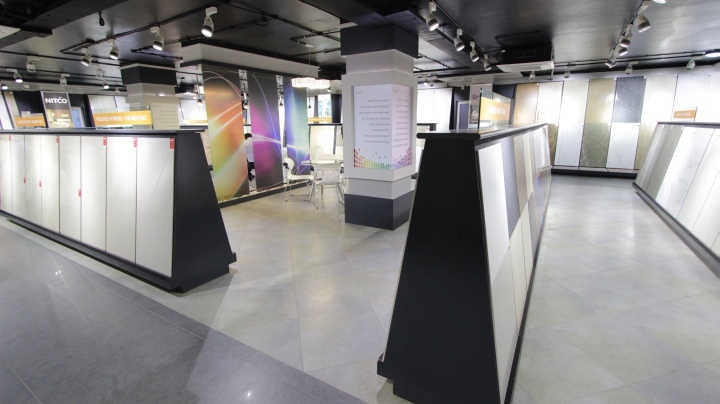 VISUAL MERCHANDISING & DISPLAY: Some areas are allocated for mock-ups& VM displays. Merchandise is displayed in a manner to enhance the visibility of each and every product so that the shoppers can make quick decisions. 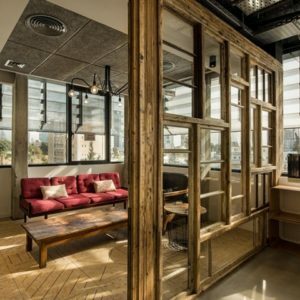 Each and every product has its unique space allocated to avoid clutter. GRAPHICS & SIGNAGE: Bold communication language has been used for signage. 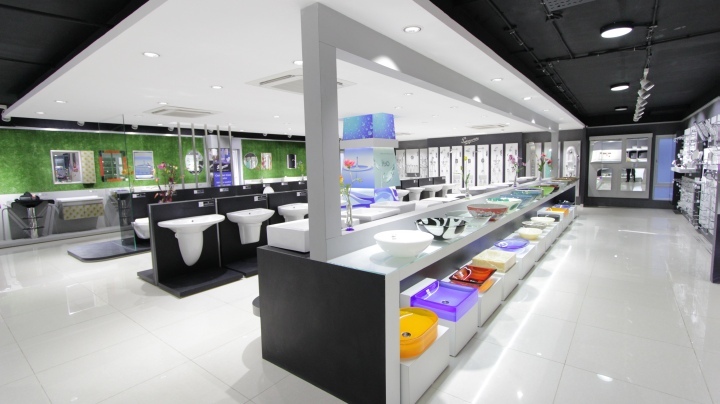 Bright colors are used for graphics and focal areas to attract customers and increase impulse buys. 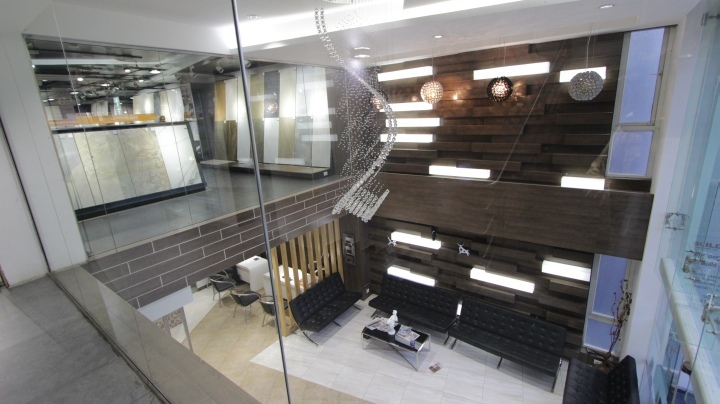 SHOP – FITTING DESIGN: Contemporary furniture & styling has been put in to match the design concept. Layering has been employed to provide emphasis on the product range.